Wishing everyone Happy Rakshabandhan, hope everyone is celebrating with much fun fare and joy. It's been few years since I tied Rakhi to my brother and this year I'm hosting the Rakhi-Thread of Love event, I'm missing much more my brother this time :( so here wishing my brother very Happy Rakhi. I wanted to prepare something sweet for today but later I changed my mind and made Radga Chat or Papadi Chat. Whenever I visit Delhi, having all the chats and pakodis are must for me. I find Delhi chats very different from what we get in Chennai, Bangalore or Hyderabad. I had ragda chat first time in Delhi and got hooked to it. This is my first attempt to make the same, it came okie but there is lot of room for improvement I guess :). 1. Soak vada in hot water for 30mins to 1hr. Drain the excess water and keep aside. 2. Cut the potato in cubes add little salt, 1/4tps redchilli powder, 1/2 tps chat masala. 4. In a severing plate place 2 vada mashed a bit, 2-3 papadi broken in large pieces, potato pieces few. Top up with 3-4 tbs of curd, 2tbs of both chutney, a pinch of cumin powder, chat masala. 5. Repeat step 4 for the rest. 6. Delicious ragda or papdi chat is ready. And Chat & Milkshake is for Rakhi-Thread of Love event. 1. 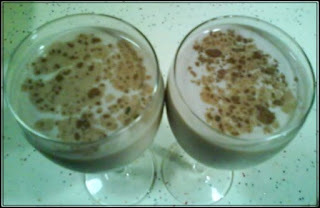 In a blender add 2up milk, 5tbs of chocolate powder, 1/2tps coffee powder, 4tbs suger, few ice cubes. 2. Blend for 3-4mins and server. 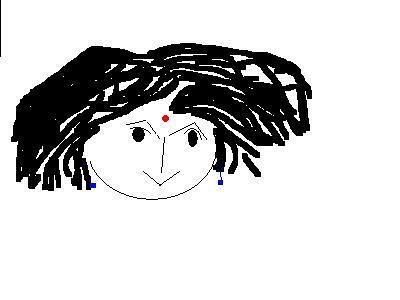 Hi Priti, Happy Rakshabandhan! Love the Ragda chat. I will surely try this tomorrow itself, for Sunday evening tea snack. Chocolate milkshake looks yum! :-) I too made chat for my brother on Thursday evening, and eggless cake with cocoa powder and nuts with instant vanilla flavour cake mix (in a cooker, I don'r bake, as you know). Happy Rakshabandhan ! Great entry! I love chat..Your chat and milkshake are very tempting :-). 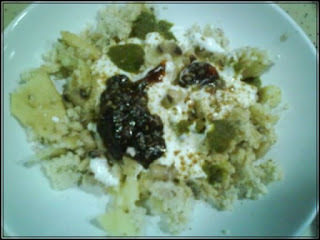 It actually drove me to go to my kitchen and make one..
wow..nice chaat..liked your shake too..haapy rakshabandhan!!! Your chat and milkshake are very delicious! :-) Happy Rakshabandhan to you. Fantastic Entry... looks nice & Amazing... Nice click...I love all chat items.. Happy Rakshabandhan ! Your chat and milkshake are very tempting :-))Great entry! HMMMM milk shake is mouth watering..
Hi Priti, thanks for visiting my site. Chats are always on my fav list and milkshakes look good too..nice entry. Chat is looking yummy and milkshake is awesome. mouth-watering entries Priti! Happy rakhi (belated)! That chaat looks very different - yummy. Chocolate milkshake would've made the perfect accompiment.